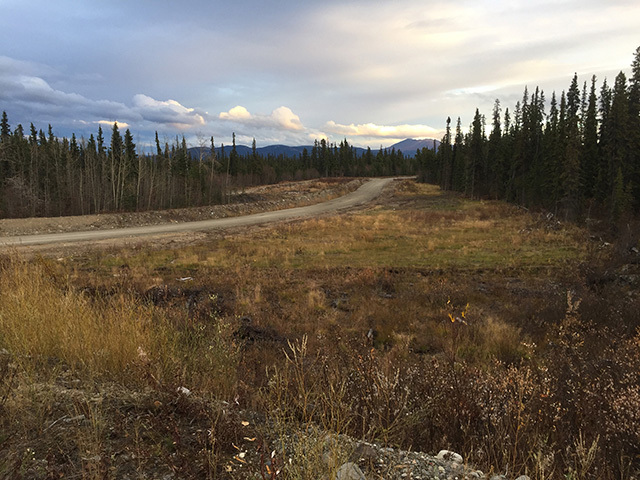 Note: Fly Yukon is presently working on an MOU with Mount Sima. Some details on this page may change. The official page will be listed on the Sima page, but the bulk of information will be from here (currently undergoing revisions). 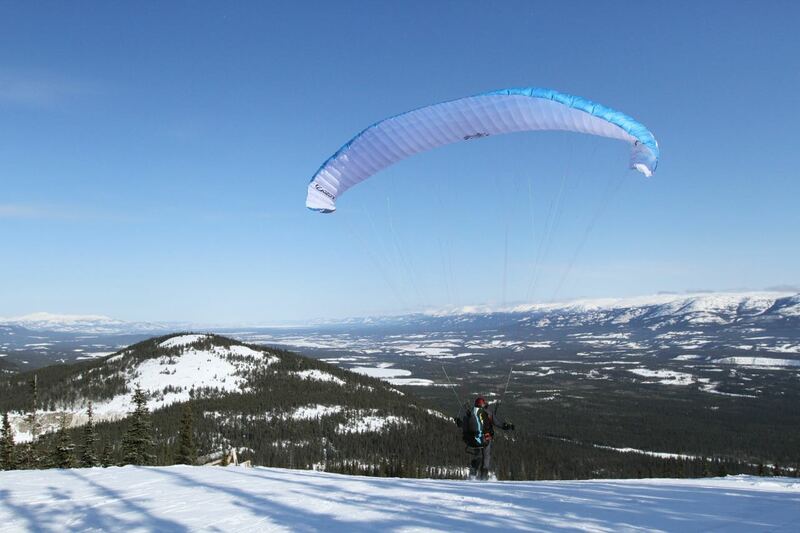 Mount Sima is open for paragliding during the ski season and occasionally in the summer. 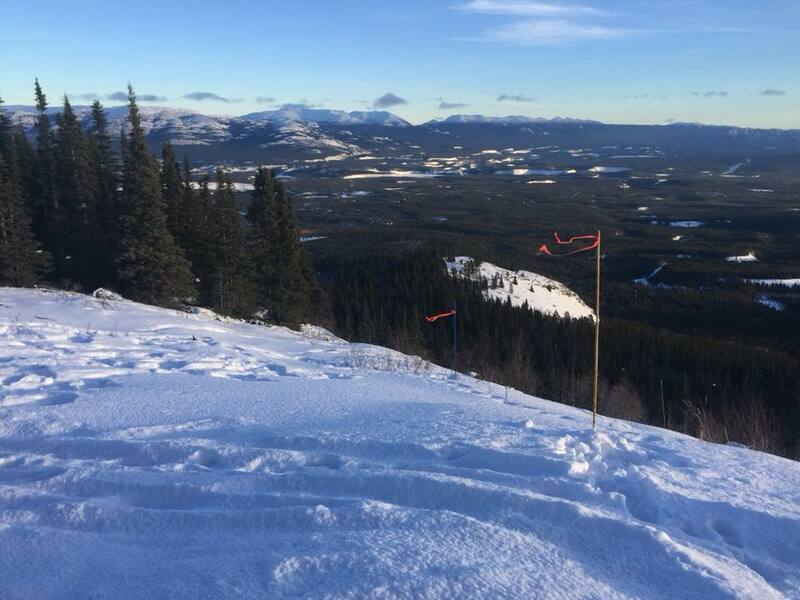 The chairlift provides easy access to the north and south launch sites conveniently located within a few minutes from each other. 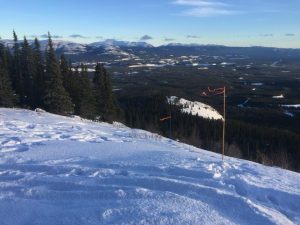 The wind station, located at the top of the chair lift, monitors wind-speed and direction and is posted on our website to let you know when it’s flyable. If the wind is not favourable, pilots can enjoy a day of skiing or snowboarding or take the chairlift back down and relax in the lounge. All pilots wishing to fly at Sima, need to be insured, complete an orientation, and sign the paragliding policy (see PDF download below). Details about the launches is provided below. Purchase a season pass for unlimited access to skiing and flying. Purchase a day-pass for skiing and flying. Purchase a single lift-pass. If it’s not flyable, pilots can download and come back to fly another day. Turn left at the top of the chair lift and you are there. The top of Dan’s Descent provides a nice smooth launch on a gradual slope suitable for all levels or pilots as well as tandem launches. Be sure to leave enough room when setting up your wing to allow skiers to pass by. This launch is closer to the landing zone, but if launching in stronger winds, be prepared to use your speed bar to ensure you reach the landing zone with adequate height. You can sometimes catch lift on one of the lower two benches or possibly along the west side of the launch. It is possible to launch with northwest wind, but it will be crossed making launch conditions more advanced (Intermediate or Advanced rating is advised). This is also a descent launch for no-wind forward launches . There is no speed-flying permitted at Sima… only paragliding. 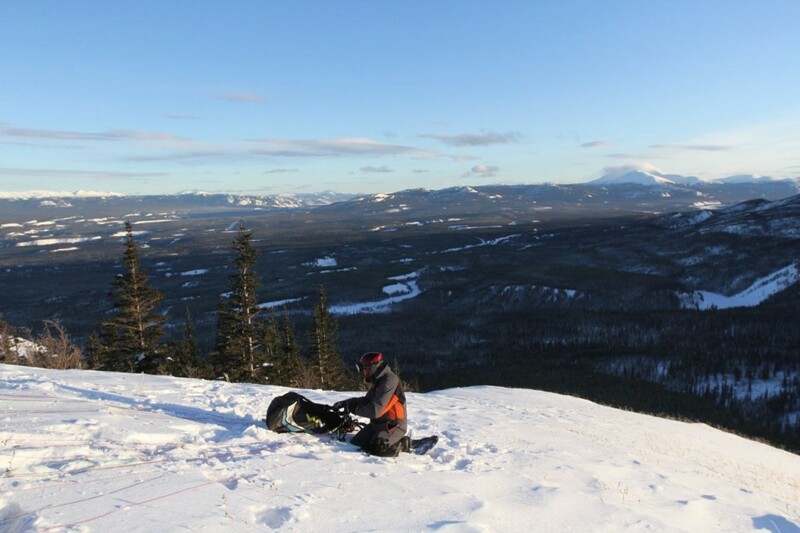 Sima management asks that once clear of the first knoll, pilots do not swoop below tree level and ensure at least 100’ is maintained above chair lift at all times. Landing is only permitted in the designated landing zone along the Copper Trail. This is the newest launch at Sima. The launch is located directly below the look-out tower and boasts a beautiful view for pilots or spectators. There is often lift in the basin directly below the launch. If you have adequate height, the dog-leg to the landing zone can be skipped, but be sure to give sufficient height and distance to the lower knob to avoid rotor. Lift can also be caught at the lower knoll if heading around the dog-leg. The LZ is not visible from this launch and pilots should have at least an intermediate rating or higher to launch here or be under supervision of an instructor. Once you reach the lookout tower, continue along the Left-Loosey bike about 3-4 minutes until you reach the lower launch. This south-facing launch has a nice slope and lots of room for laying our your wing. However, since it is far from the landing zone, and the LZ is not visible from the launch, this makes it suitable for advanced pilots only. This launch is not suitable for older wings with a lower glide ratio. Pilots need to be prepared for a possible side-slope landing in the event of being ‘dropped’. With the upper south tower launch completed, there is little need for this launch, though it is better suited for Southwest wind. There is no SW landing zone, which is another reason Advanced rating is required. A lot of work has gone into building a large landing zone suitable for all levels of pilots. Please ensure you land here and NOT the parking lot. We are still working to complete installation of additional wind socks at the landing zone, but there is one on the top of the chalet. In winter, smoke from the buildings can assist in gauging wind strength and direction and it is recommended you install a temporary windsock or flagging tape at the landing zone prior to launching. If you are going XC, there are some fields and alternative landing sites. During summer, the landing zone can be thermic and is not recommended for beginner pilots during active conditions. Keep your approach and descent on the south side of the power lines. Don’t forget to visit the lounge after flying to celebrate. Proof of current HPAC Membership when purchasing a day-pass or season pass. Only HPAC insurance is accepted due to insurance requirements. Land only at the (new) landing zone beside the Copper Trail and parking lot. Under no circumstances are landings to be near the lifts. Safe altitude at at least 100′ maintained above lifts and lines and buildings when flying. Have a local pilot give a site orientation. Ensure your wing is secure before going on chair-lift. Be careful of straps. Be ready to exit chairlift quickly. Lift operators will slow it down for you to disembark. If using the lounge afterwards, please sign in upon arrival. It is MANDATORY to contact the airport control tower/FSS prior to launching and when finished. Local Search and Rescue can be reached by calling 911.